Wrap up this genuine diamond infinity necklace and show her that you'll love her for all time! Nothing expresses your love for her quite like a gift of fiery diamonds and gleaming gold. 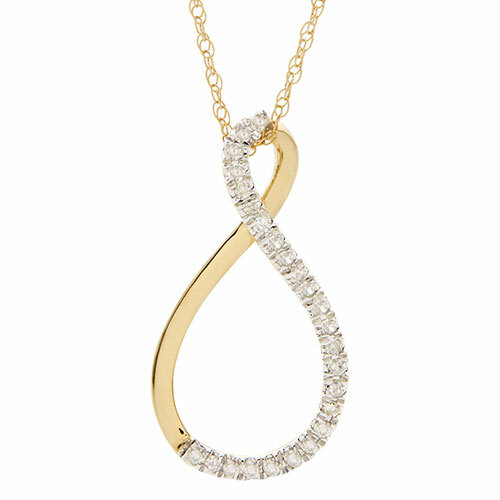 This elegant necklace features a beautiful infinity pendant boasting the brilliance of 25 genuine diamond accents with 0.15 total carat diamond weight. The pendant floats gracefully on an 18" chain layered in luxurious 10K gold with spring ring clasp. Color: Yellow gold.